Posted October 17, 2016 by Norburn Lighting and Bath Centre & filed under Bathroom Lighting, Contemporary Lighting, Decorative Lighting Fixtures, Energy Saving, Featured Projects, Kitchen Lighting, LED, New Products, Restoration Lighting, Sales and Promotions, Trends, Uncategorized, Vintage Lighting . 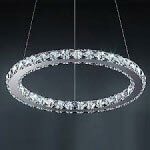 Artcraft has been in the lighting industry for over 60 years, and takes pride in the level of craftsmanship and attention to detail they put into every product. Artcraft incorporates fashionable trends into functional pieces that are made to last. 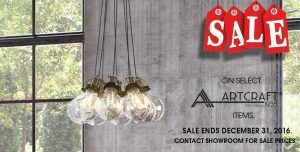 If you are looking for a fixture before this year ends, our Artcraft sale is perfect for you! Artcraft offers a variety of styles to suit different rooms and preferences. 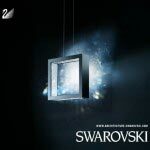 For more selection of Artcraft products or for sale prices for the above fixtures, contact or visit our showroom. 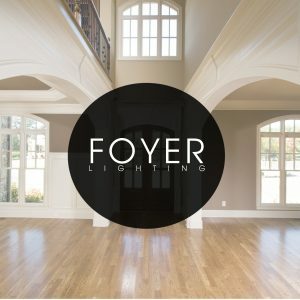 Our Lighting Specialist are happy to help you find the right fixture for any space in your home. 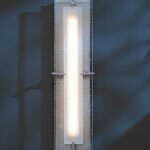 Posted September 16, 2016 by Norburn Lighting and Bath Centre & filed under Decorative Lighting Fixtures, Energy Saving, LED, New Products, Pendant Lighting, Portable Lamps, Tips and Advice, Trends . introducing yourself; you miss the opportunity of making a good first impression. welcomes and captivates your guests the moment they walk through the door. In foyers with low ceilings, a flush-mount or semi-flush mount is a great way to add a decorative piece while keeping in mind any height restrictions. The Autumn, finished in chrome, captures the appearance of frost that coats the branches in the crisp Autumn air. Taller ceilings allows for more grandiose scale fixtures that make a bold statement. 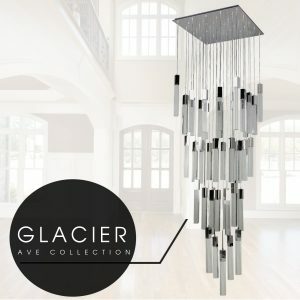 The Glacier Ave Collection is more than twice the size of an average person, with a height of 156 inches or 13 feet. 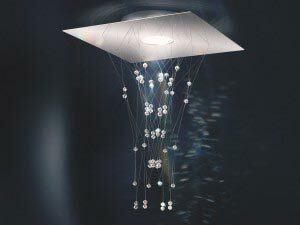 LEDs are embedded in each crystal that cascades down to replicate the appearance of glacier ice. The design of the Double Cirque embraces open concept design that welcome the eyes to different avenues of the home. 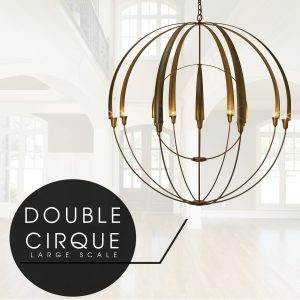 This opulent chandelier is 4 feet wide, and made with hand forged steel to create an orbital structure. With a long narrow foyer, you can use multiple fixtures to create a visual echo effect. 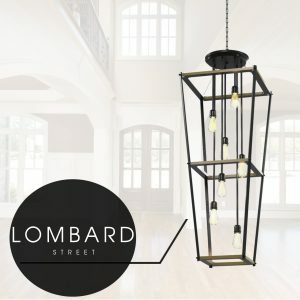 The Lombard Street pendant is a two tiered beauty that is perfect for a narrow foyer with high ceilings. The graphite framing highlights exposed bulbs that suspend from various heights. Placing portable lamps on an entry table captures the eyes and adds visual interest. The Sochi is a stunning and trendy table lamp that plays with geometric shapes and faux marble pattern. The lamp is topped off with a grey faux silk shade to balance the look. For more selections, visit our showroom. 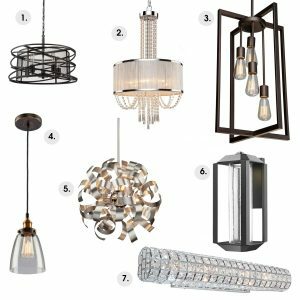 Your foyer will be ready to make the best first impression! 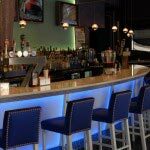 Posted July 22, 2016 by Norburn Lighting and Bath Centre & filed under Energy Saving, Featured Projects, LED, New Products, Pendant Lighting . Image: Feiss, Oberlin Collection, 2016. The Oberlin collection from Feiss can add drama and sophistication in any room. Rondure beads create the orbital structure of the pendant, which glimmers when hit with light. 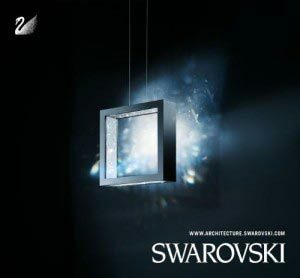 Led modules are attached at the top and bottom of the pendant, which provides a warm glow of light. The pendant can also be dimmed from 2700k to 2200k. Finished in satin nickel, the Oberlin makes a grand statement in any foyer, living room, and dining room. 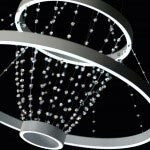 Posted April 3, 2016 by Norburn Lighting and Bath Centre & filed under Energy Saving, Featured Projects, LED, New Products . 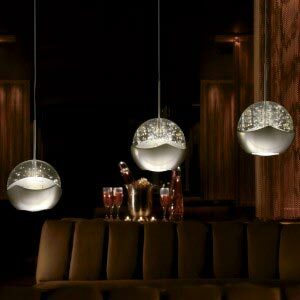 The four seasons collection pays homage to nature, with luminaries that represent each season. 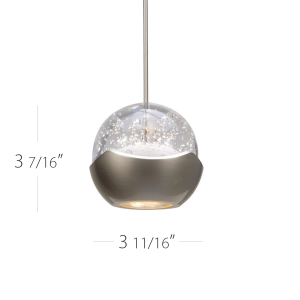 This Autumn LED Pendant, in the four season collection, exemplifies the quality and extensive detail put in every Hubbardton Forge piece. 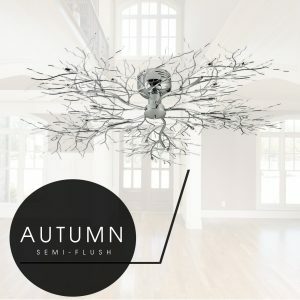 The curvature of the dark smoked branches and hand forged leaves emulate the appearance of branches swaying in the crisp autumn air. The branches are encapsulated in a rectangular framed LED light that can be adjusted to various heights. 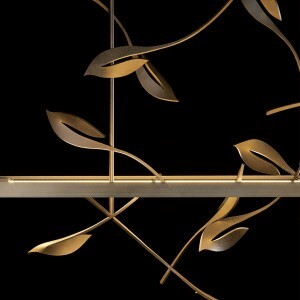 The LED frame provides the modern touch that juxtaposes the traditional and natural appeal of the sculptured branches, making this a perfect statement piece for a dining room. Posted June 10, 2014 by Norburn Lighting and Bath Centre & filed under Ceiling Fans, Energy Saving . More and more energy smart Canadian’s are joining the FAN club and enjoying benefits and savings ceiling fans offer. Fan selection has evolved from purely function to include some serious design aesthetics. Create a focal point of interest with a modern aerodynamic design, restricted by ceiling height are room widths try a ceiling hugger or space saving model. Perfect for every room in the home in the living room, kitchen, bedroom and outdoor room, isn’t it time you became a fan? 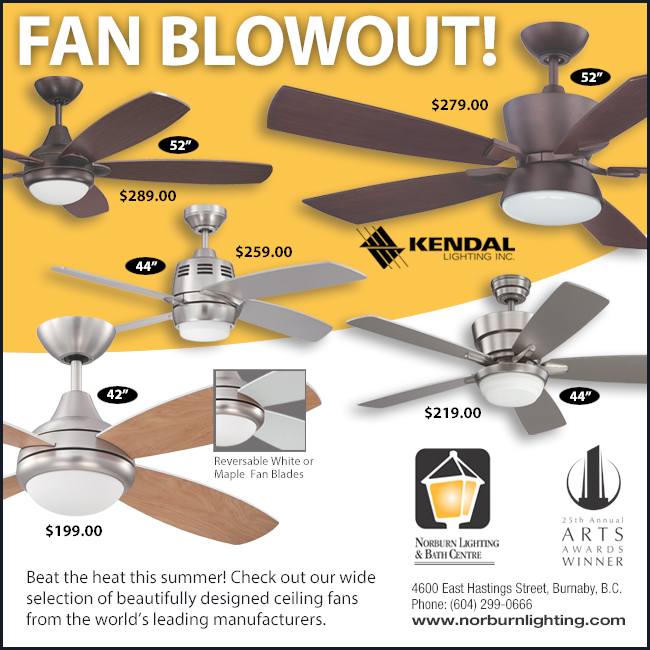 We have the largest selection of fans in Canada. Visit us in-store for our full selection. There has never been a better time to shop for a ceiling fan. 52″ Ceiling Fan with Oil Brushed Bronze finish and Matching blades. 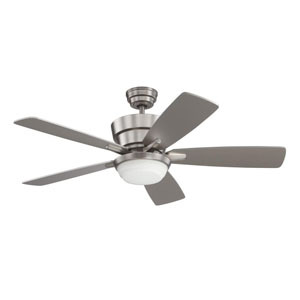 44″ Ceiling Fan with Satin Nickel finish and Silver blades. Ceiling Fan with Satin Nickel Finish and Maple / White Switch blades. 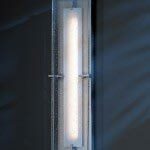 Posted December 27, 2013 by Norburn Lighting and Bath Centre & filed under Energy Saving, LED, New Products . 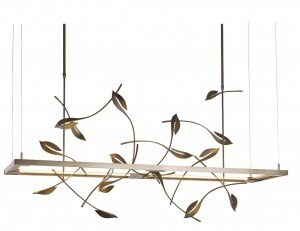 Norburn Lighting is proud to be a recognized Gallery Display distributor for Hubbardton Forge. Hubbardton Forge is the oldest and largest commercial forge in North America with a team of over 200 people creating hand-forged lighting of timeless beauty and artistry…an American wrought-iron renaissance. Introducing LED to the mix. 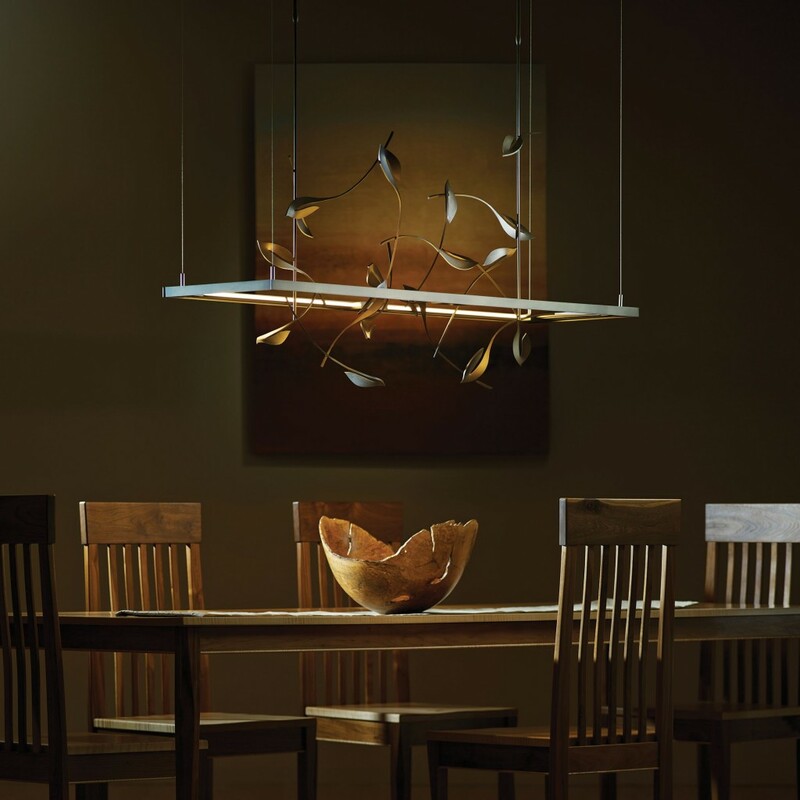 Made in the U.S.A. Hubbardton Forge has carefully and methodically developed their LED lighting selection, resulting in LED fixtures that display the beauty, quality and durability synonymous with the Hubbardton Forge brand. 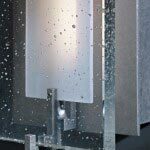 The Ethos Large LED Outdoor Wall Sconce features a thick, seeded glass diffuser that casts an ethereal glow in outdoor spaces. 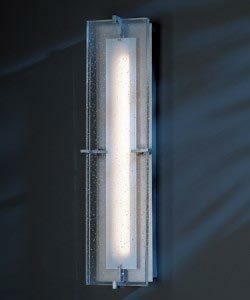 This architectural design layers the LED light strip, the diffuser, and the glass for maximum effect. Designed for both indoor and outdoor applications, Ethos LED is a versatile, ADA compliant wall sconce. Non-dimmable. 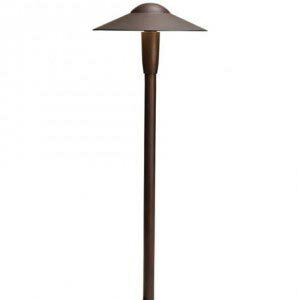 Offered in several of Hubbardton Forge’s outdoor metal finishes. 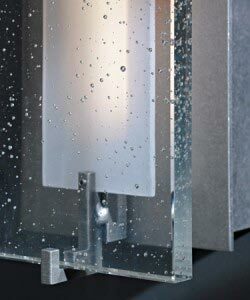 Provides ambient, diffused light.Shown in pewter. Contact one of our sales staff at [email protected] or call 604 299 0666 for further details. 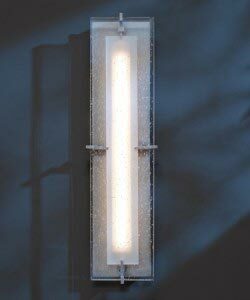 Ethos; Outdoor wall sconce with glass; large. DIMENSIONS: 22.2″ h. x 5.8″ w.
MAX. HANGING WEIGHT: 12.8 lbs. 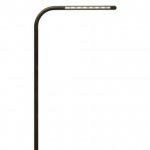 Posted December 6, 2013 by Norburn Lighting and Bath Centre & filed under Energy Saving, LED . Posted December 4, 2013 by Norburn Lighting and Bath Centre & filed under Energy Saving, Featured Projects, LED, New Products . 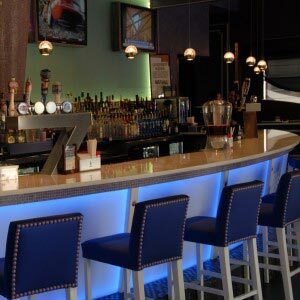 An authorized dealer for industry leader WAC Lighting, Norburn is the destination store in Vancouver for all things LED. 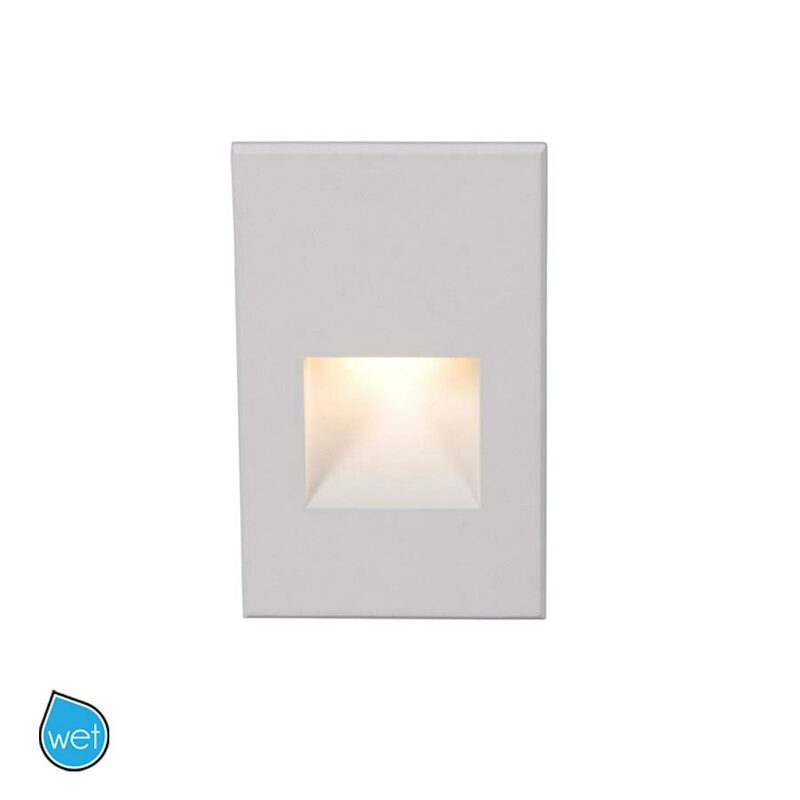 Introducing in WL-LED200 LEDme® Step and Wall Lights. BK, BN, BZ and WT models are constructed of die-cast aluminum 120V direct wiring, no driver needed. Wet location rated to IP66 standards for indoor and outdoor installations with a 40,000 hour rated life. 1 Do I need a driver for the step lights? No, a driver is not necessary. All relevant materials are built in. Suitable for direct wiring. 2 Can I connect fixtures in parallel? Yes, up to 200 pieces can be connected in parallel. 3 Can I dim this fixture? 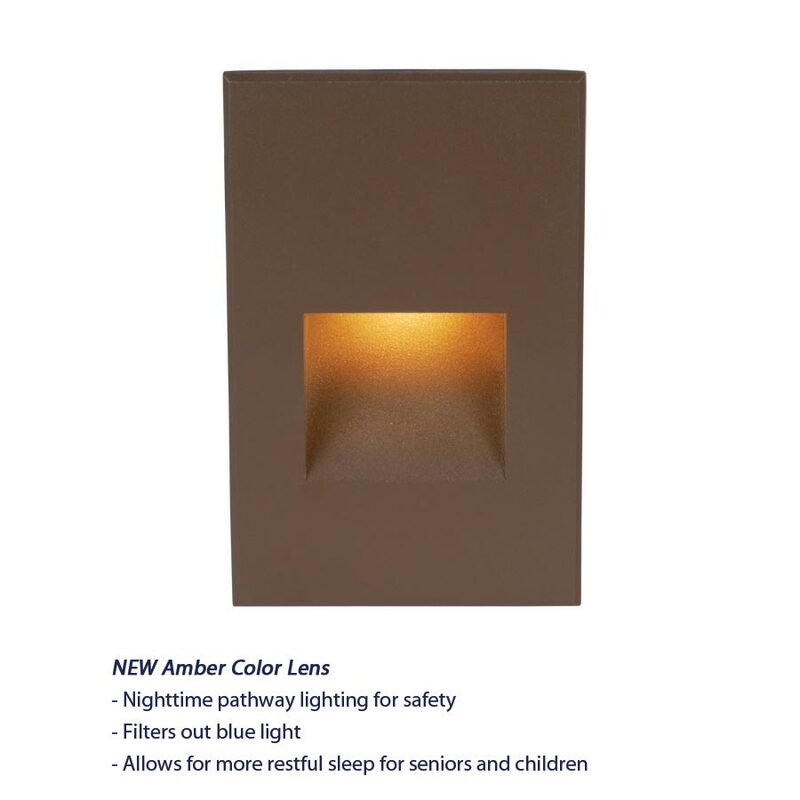 This fixture may be dimmed to 1% with an electronic low voltage (ELV) dimmer. 4 Is the LED module replaceable? Yes, but the LED Module has 40,000 hours of rated life before replacement is necessary. 5 What kind of junction box is needed? This fixture fits into a standard 2’’ X 4’’ junction box with minimum inside dimensions of 3’’H X 2’’W X 2’’H. 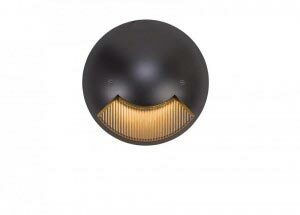 6 Is this fixture outdoor rated? 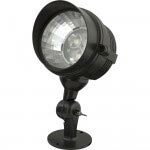 Yes, it is wet location rated, and meets IP66 standards for indoor and outdoor installations. 7 What should be done to prevent water seepage into fixture? It is recommended that the installer run a bead of clear, outdoor-rated silicone (GE RTV-162 or equivalent, provided by others) caulk between gasket or back of fixture, and mounting surface to prevent seepage of water into fixture. 8 Is a gasket required for indoor installations? No, a gasket is not required for indoor installations, and it can be discarded. The gasket is to ensure airtight installation for outdoor applications. 9 Are there any visible mounting screws on these fixtures? No, the surface of the step light is flush. No visible hardware is present. 10 What kind of material are these products made from? 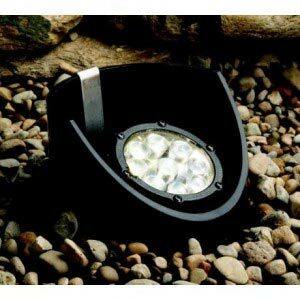 The step lights are made from die cast aluminum to ensure fixture quality. 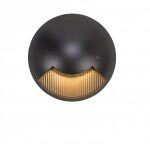 Posted November 28, 2013 by Norburn Lighting and Bath Centre & filed under Energy Saving, LED, Pendant Lighting . 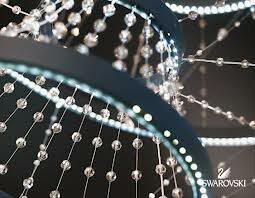 The Genesis LED pendant from WAC Lighting beautifully combines Form and Function. 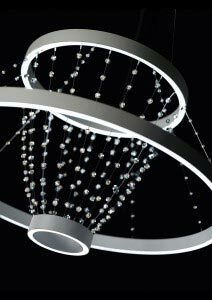 Genesis,” a new LEDme™ Pendant, depicts a contemporary, evolutionary design in a diminutive size, resulting in a stunning decorative accent. With dual uplight and downlight LED engines, “Genesis” combines functional performance with ambient lighting. Its internally illuminated, spherical glass orb diffuses three LED uplights. The pendant base, which is constructed of die cast aluminum finished in Brushed Nickel, encases the three LED downlights, distributing light at a 75-degree beam angle. 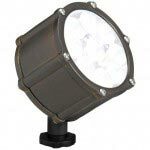 It has a 3000K-color temperature, an 85 CRI (Color Rendering Index) and produces a total of 183 total lumens. “Genesis” is offered with six feet of low voltage braided wire that is field-adjustable to any length. 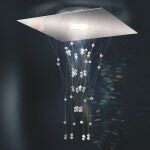 With dual up-light and down light LED modules, Genesis combines functional performance with ambient light for a truly unique pendant. 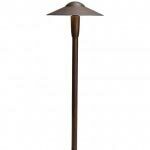 Posted November 25, 2013 by Norburn Lighting and Bath Centre & filed under Energy Saving, LED, Outdoor Fixtures . LED fixtures are smart and efficient. They are relatively new to the market but more and more people are seeing the value in using them for longer lamp life (they require less bulb changes) and they use less power. There are some other advantages too. They can be somewhat easier to install and sometimes required less or lower power transformers. A typical low voltage light might use a 20 watt bulb. A suitable LED replacement fixture may draw only a few watts of power. There are many reasons to use LED lights. One downside is that most LED lights cannot be dimmed. But they are the future of lighting! 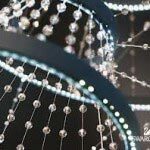 Efficiency – LED lights offer more light output using less energy, cutting energy use for standard bulbs by over 50% for landscape lighting and outdoor lighting. Environmentally Friendly – other bulbs have toxic mercury or other harmful components that are leaked when broken, however standard LED lights do not. Durability – LED lights last for a very long time, with standard LED lights lasting for 35,000 to 50,000 hours, and they fade gradually over time rather than completely burning out. They are more affordable than ever and offer longer life and less energy usage than standard bulbs. 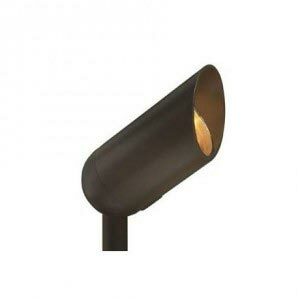 The same effect can be created using LED as would be possible with halogen or incandescent for outdoor landscape lighting projects, when appropriately used in a landscape. LED lights can be useful in many different parts of an outdoor landscape lighting project such as pathway landscape lighting, pool lighting, ambient landscape lighting and in many other areas.